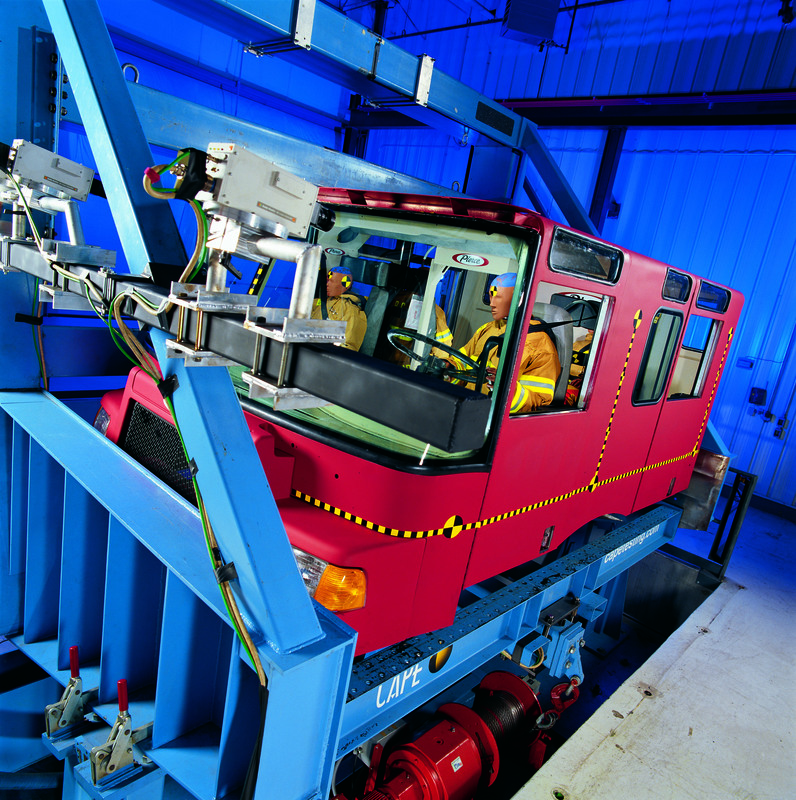 The only known machine of its kind, CAPE’s 90-degree dynamic rollover impact machine was designed and built to better understand how injuries occur in a rollover. Our research even led to IMMI’s development of RollTek, the first side-roll protection system for commercial vehicles. 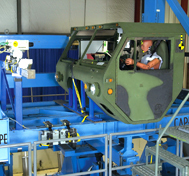 CAPE’s rollover machine accommodates large vehicle cabs and can be adjusted to various roll conditions. 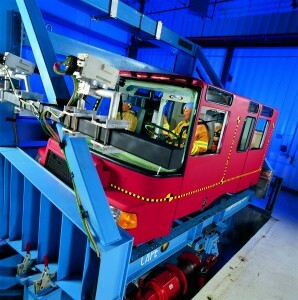 The operation of the rollover impact machine has been correlated to actual tractor-trailer rollover tests and can be adjusted to represent other roll events.